If “Sakaling Maging Tayo” weren’t the last film we’d see McCoy de Leon and Elisse Joson together, it would have been a pretty good start for their telegenic tandem. Like Paulo Avelino and Maja Salvador in “I’m Drunk, I Love You,” McCoy and Elisse benefit from a director who helms films that either play well to his actors’ strengths or show them in a flattering new light. JP Habac does both in “Sakaling Maging Tayo,” cleverly parlaying the duo’s potent chemistry into rom-com gold. 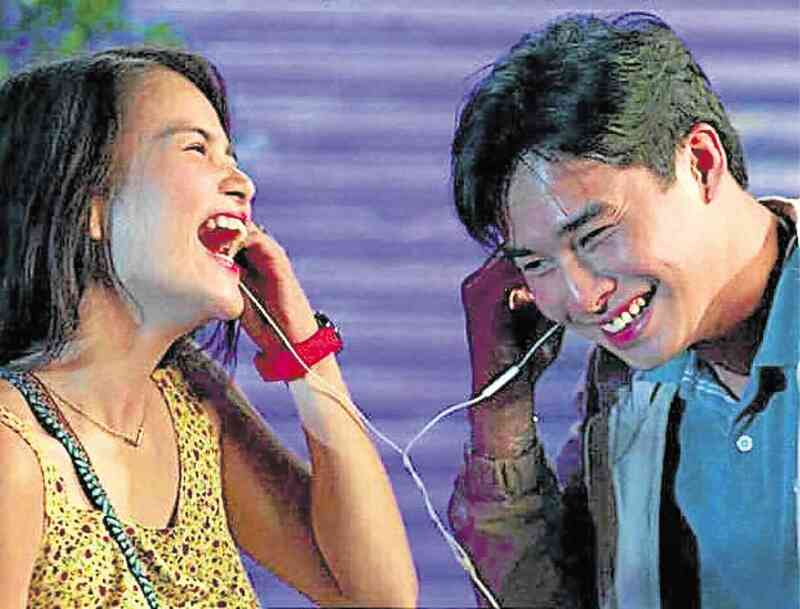 McLisse, the love team’s burger-sounding portmanteau since its “feels”-channeling heyday inside the “Pinoy Big Brother” house, takes rom-com aficionados on a breezy ride as it introduces a no-frills love story that inspires adulation and empathy. Pol (McCoy) gets the chance of a lifetime when he unexpectedly runs into a very vulnerable Laya (Elisse) during a night out with his gay best friend, Emerson (Paulo Angeles). Pol has been smitten with his pretty schoolmate ever since he saw her for the first time on a Baguio campus about a year ago. But he gets tongue-tied every time Laya is within arm’s reach! They’ve been in one class before but, while she’s friendly and approachable as heck, Laya doesn’t even seem to remember who Pol is. Simply put, the timid, “never-been-kissed, never-been-touched” Pol couldn’t just pluck up enough courage to act on his impulse to pursue the fun-loving and good-natured coed. As a result, he’s been admiring Laya from a distance. As if by serendipity, when Laya, who’s just had her heart broken by her erstwhile boyfriend, the flirtatious and disloyal Maui (Markus Paterson), crosses paths with Pol, she finds solace and surprising reassurance from Pol’s unintrusive presence and comforting charm. Unfortunately, for Pol, it is Laya’s last night in Baguio—because she intends to get on a Manila-bound bus by sunrise to run away from a “self-inflicted” dilemma. She’s afraid she could be pregnant (she’s been waiting for her period for two weeks), no thanks to her night of reckless abandon with Maui some time ago! Is it too late for something other than easy rapport and friendship between Laya and Pol? If you watch the film—and you should—you’ll like the answer as much as we did, because while the couple’s budding romance happens overnight, seeing them “get there” doesn’t feel forced, rushed or manipulated. Elisse and McCoy are served well by the appropriateness of casting them in roles that, while they require a peek into their pool of accessible emotions, don’t really demand excessive thespic navel-gazing. McCoy and Elisse register well onscreen, individually or as a couple. McCoy’s tyro skills are a snug fit for Pol’s awkward indecisiveness, but the lovely and luminous Elisse just lets her sensitivity see her through Laya’s most difficult moments. The film refuses to hew closely to mainstream cinema’s propensity for predictable storytelling and excessive mush. You won’t even see a happily-ever-after epilogue that is common in many rom-coms these days. But the movie leaves lovelorn viewers with something better—and something that’ll see them through their own hurdle with heartbreak: Hope.